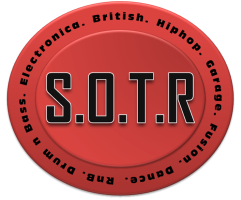 The term "Sounds of the Redbridge" or "S.O.T.R" or "M.E.C Productions" or "us" or "we" refers to the owners of this website. The term "you" refers to the user or viewer of our website. If you continue to browse and use this website you are agreeing to comply with and be bound by the following terms and conditions of use, which shall take effect immediately on your first use of this website. If you do not agree to be legally bound by all the following terms please do not access and/or use this website. We may change these terms at any time by posting changes online. Please review these terms regularly to ensure you are aware of any changes made by us. Your continued use of this website after changes are posted means you agree to be legally bound by these terms as updated and/or amended. You may not copy, reproduce, republish, download, post, broadcast, transmit, make available to the public, or otherwise use this website's content in any way except for your own personal, non-commercial use. You also agree not to adapt, alter or create a derivative work from any of this website's content except for your own personal, non-commercial use. Any other use of this website's content requires the prior written permission of us. You agree to use this website only for lawful purposes, and in a way that does not infringe the rights of, restrict or inhibit anyone else's use and enjoyment of this website. Prohibited behaviour includes harassing or causing distress or inconvenience to any person, transmitting obscene or offensive content or disrupting the normal flow of dialogue within this website. This website contains material which is owned by or licensed to us. This material includes, but is not limited to, the music, the lyrics, the design, layout, look, appearance and graphics. Reproduction is prohibited other than in accordance with the copyright notice, which forms part of these terms and conditions. You may not create a link to this website from another website or document without our prior emailed consent. If there is any conflict between these terms and specific terms appearing elsewhere on this website then the latter shall prevail. The purpose of this statement is to set out how we use personal information that we may obtain about you. By registering as a user of the services provided by us and by using this website generally you agree to this use. 1. When you communicate with us you will be asked to provide certain information such as your contact details. This data will be stored and used to fulfil our agreement with you. i) to register you with our website and to administer our website services. ii) for assessment and analysis e.g. market, customer and product analysis to enable us to review, develop and improve the services which we offer and to enable us to provide you and other customers with relevant information through our marketing programme. We may use your information to make decisions about you and select products or services which we think will interest you from the information we have. We may inform you (by email, telephone, text message, mail or otherwise) about products and services which we consider may be of interest to you. If you do not wish us to use or share your information for marketing purposes, contact us. iii) for the prevention and detection of fraud. iii) agents who profile your data so that we may tailor the goods/services we offer to your specific needs. b) if we have a duty to do so or if the law allows us to do so. 5. We may supplement the information that you provide to us with information that we receive from third parties. 6. We endeavour to take all reasonable steps to protect your personal information. However, we cannot guarantee the security of any data you disclose online. You accept the inherent security risks of providing information and dealing online over the Internet and will not hold us responsible for any breach of security unless this is due to our negligence or wilful default. 7. You have the right to see personal data (as defined in the Data Protection Act) that we keep about you, upon receipt of a written request and payment of a fee. If you are concerned that any of the information we hold is incorrect please contact us. 9. Please note that any products and services are supplied subject to our standard terms and conditions.